Learning your moon sign is an eye-opening journey. Most of us know our astrological sun sign, but that is only one small aspect of our personality. 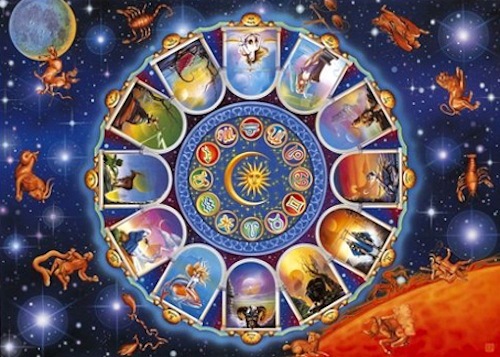 There are actually 12 astrological signs (you can think of these as energies, seasons or flavors of who we are) that sit in 12 different houses ( areas of one's life.) There are also 8 planets that can be observed in connection to our signs and houses. That's a whole lot of galaxy to take in! The beautiful Moon's energy teaches us how to embody and celebrate the rhythmic and cyclical nature of all living things. The Moon is not only just as important as the Sun in your natal chart, it is your key to understanding a deeper sense of self. Knowing your moon sign and how to use it as a tool for self-discovery is like opening a door to deeper chambers of your heart that you have never new existed. Dive into Self, Healing, and Happiness is this 3 hour astrological and Yoga-Astrology-Asana experience. You MUST pre-register for this event, as I will need your birth date, location and time of birth. If you don't know your birth time, contact the town hall where you were born! If you still cannot find it, that is okay! I promise you will get so much out of this experience. Do an astrologically guided Vinyasa practice with a guided meditation & Chakra alignment for this specific Moon cycle.